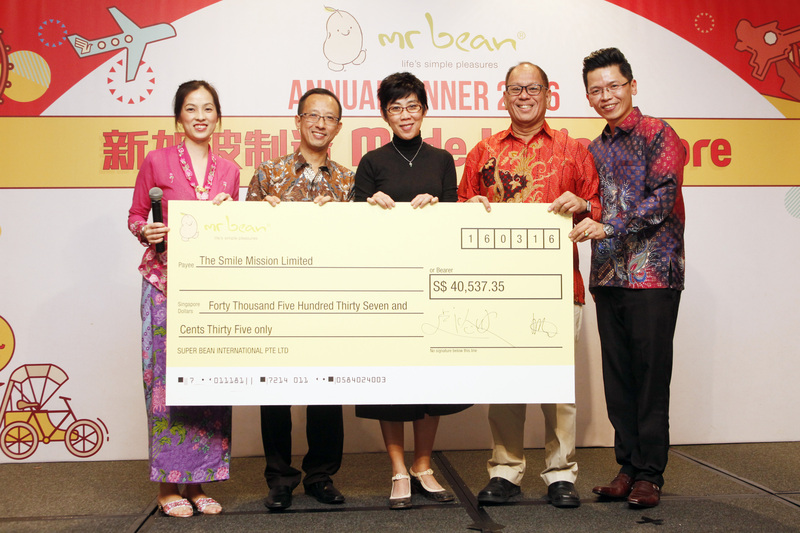 Our longstanding corporate partners Mr Bean has launched their annual Smile With Me campaign in support of Smile Asia. The campaign is currently ongoing and will run till 4 January 2017. Since 2008, Mr Bean has raised close to $300,000 for Smile Asia through the Smile With Me campaigns. This has gone towards sending medical volunteers to impoverished regions of Asia to provide free surgeries for children suffering from cleft lips, cleft palates and other facial deformities. Mr Bean’s support was highlighted by Singapore’s then Minister for Foreign Affairs George Yeo at the Medical Alunmi 87th Anniversary Dinner in November 2010. Donations can be made through the Smile With Me tins at all Mr Bean outlets in Singapore. Click here for list of Mr Bean outlets. Please remember to write Smile With Me on the reverse of the cheque.